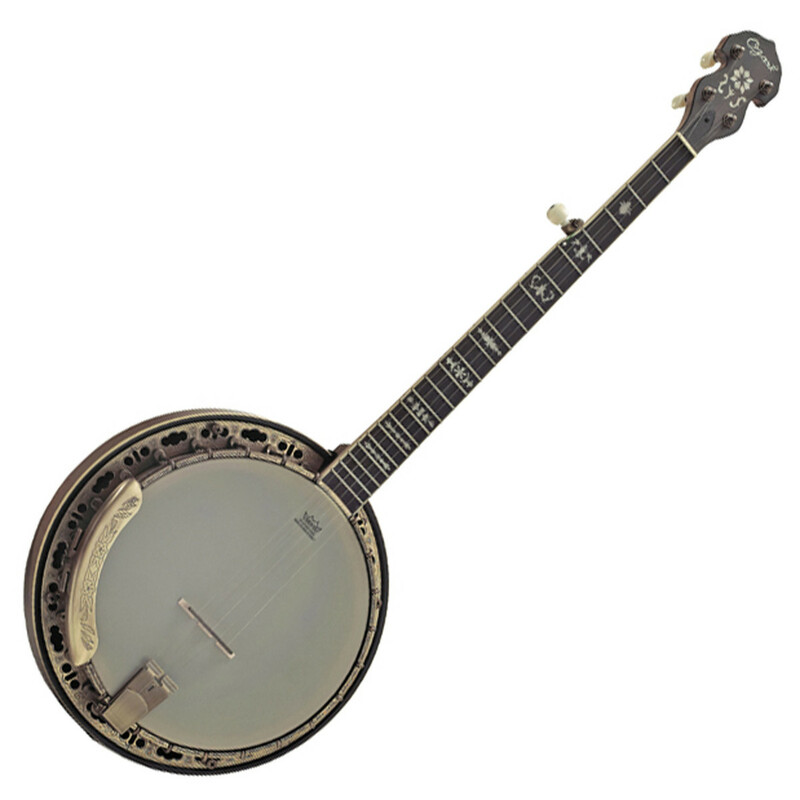 The Ozark 5 String Banjo features a rolled brass tone ring and Maple neck and resonator. The 2115G is great for folk environments and is perfect for bluegrass style playing. Other features include a 22-fret Rosewood fingerboard with diamond inlays, bronze engraved plated armrest and hardware, double co-coordinator rods and a Remo Fiberskyn head. Enjoy rich bright tone and plenty of volume and projection with the Ozark 2112G 5 String Banjo.